Alternates with Cornwall Transit every Tuesday. ( Previous report: Devon Transit 001) . 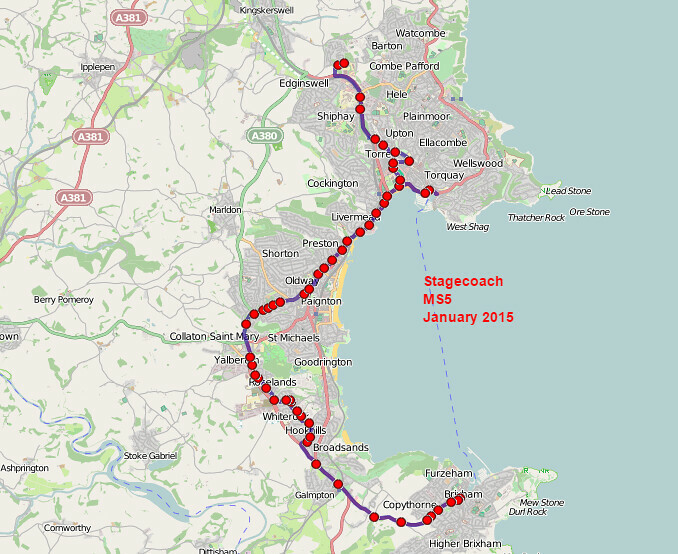 19 JAN 2015 Service X46 Exeter - Torquay - Paignton We're also introducing a new X46 timetable. We've retimed journeys to to better take into account the delays we have encountered during to the construction of the South Devon Link Road and Splatford Split widening. 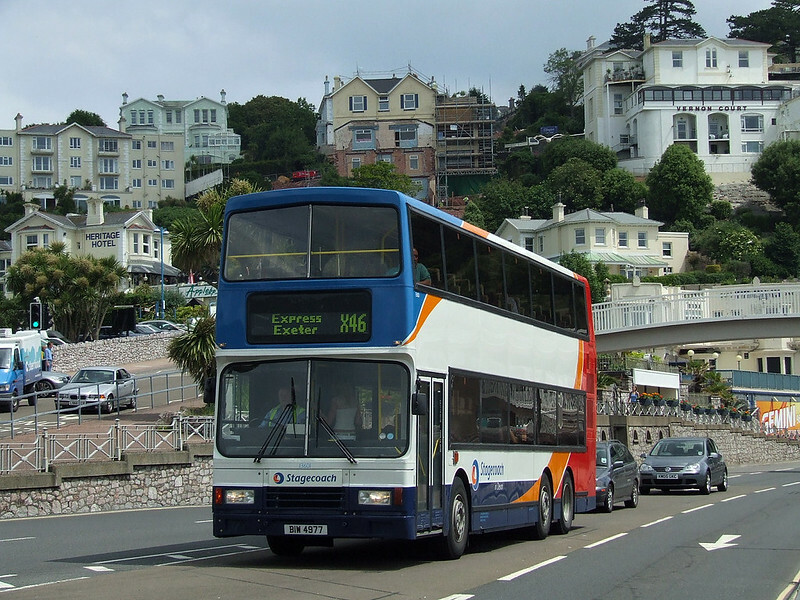 To provide the necessary time and maintain the current frequency, daytime buses will no longer serve Paignton as easy connections with the 12, 22 and Stagecoach Gold between Torquay and Paignton are readily available. 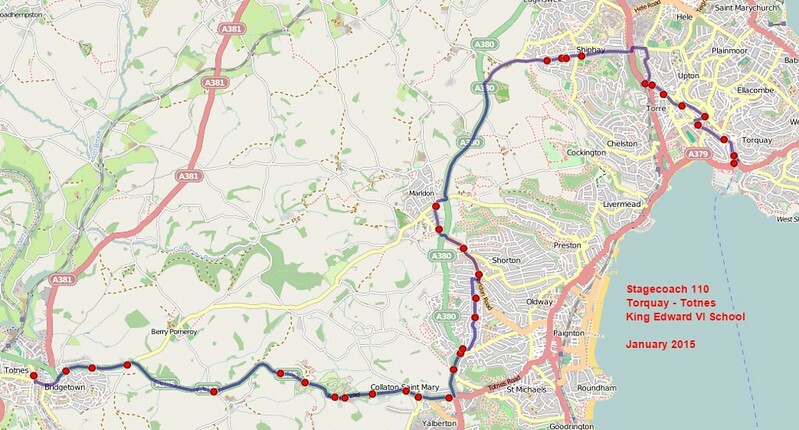 Several journeys will still run to/from Paignton at the start and end of the day for commuters into Exeter. 19 JAN 2015 Service X64 Exeter - Newton Abbot - Totnes - Salcombe The X64 will be extended from Totnes to Dartmouth to replace the Totnes - Dartmouth section of Stagecoach Gold and give Dartmouth residents direct, through connections to Totnes, Newton Abbot and Exeter up to every hour Monday to Saturday. For commuters travelling from Newton Abbot and Kingsteignton to Exeter, there will also be a later evening journey back from Exeter bus station which will depart at 1915. Some morning journeys will leave earlier to allow more time to get through the roadworks at Splatford Split. 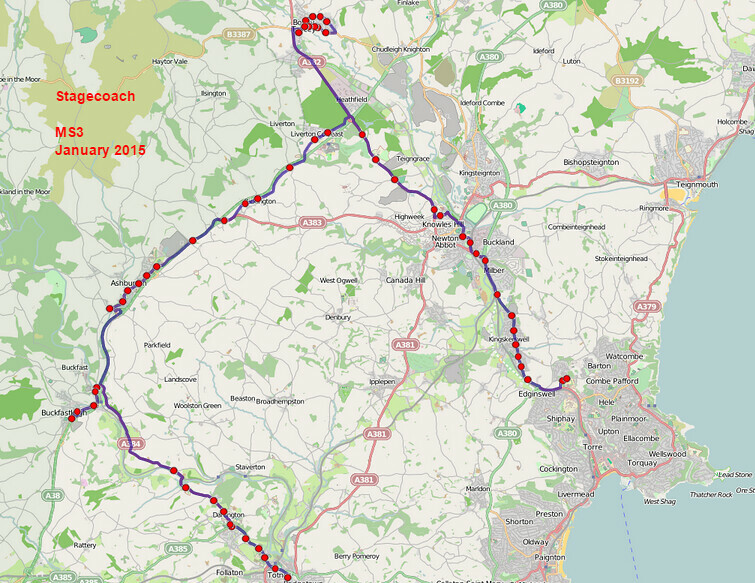 The new X64 timetable keeps all of the key morning and evening connections between Dartmouth and Totnes that are currently part of the Gold timetable. This has already been covered on Plymothian Transit. Variation Accepted by SN: Operating between Exeter St Davids Station and Exmouth Bus Station given service number 56/56A effective from 23-Feb-2015. To amend Timetable. 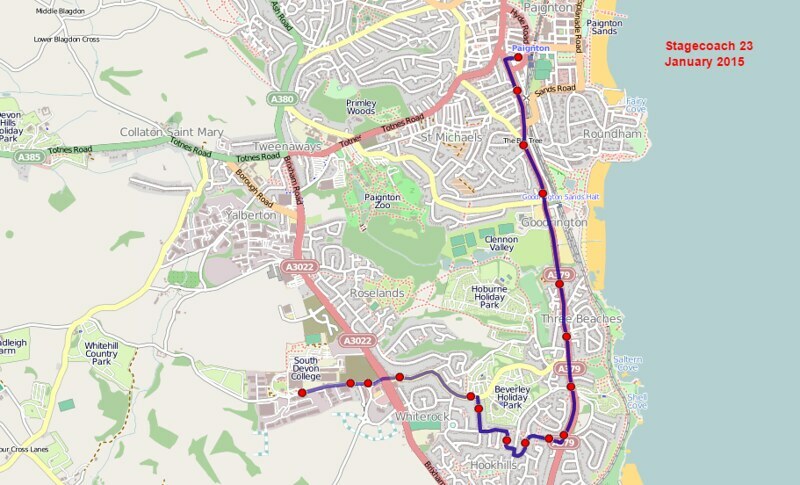 25 JAN 2015 Mid Devon Gazette SHOPPERS in Crediton are to lose a bus service which provides a vital lifeline for hundreds of people as funding to run the route is withdrawn. 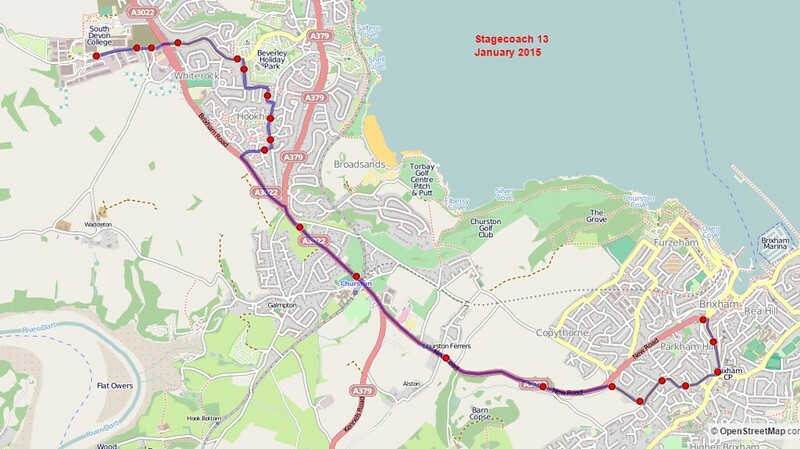 The 341 and 342 service which provides a link to the town's Tesco store from various parts of the town via the railway station, is to cease from Saturday, March 14. Devon county council figures show the route carries fewer than 1,000 one-way passenger trips a year. The services currently complete around 9,750 one-way passenger trips a year -an average of 31 per day – at a total cost of £64,974. East Anglian Rail Scene: Weekly Update. I also have it and will be looking at some of the proposals this week!